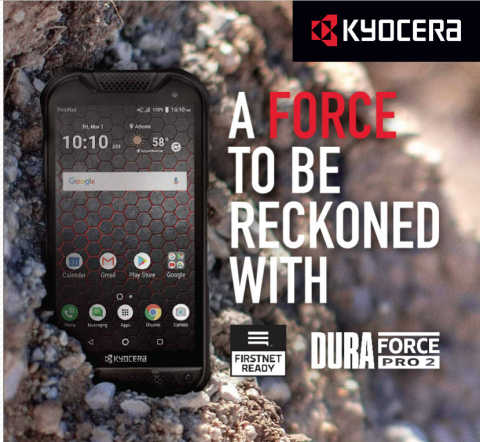 SAN DIEGO--(BUSINESS WIRE)--Kyocera International, Inc., the leader in rugged mobile solutions, today announced that its military-grade rugged DuraForce PRO 2, a 4G LTE Android smartphone, has been added to its rugged devices available through AT&T. 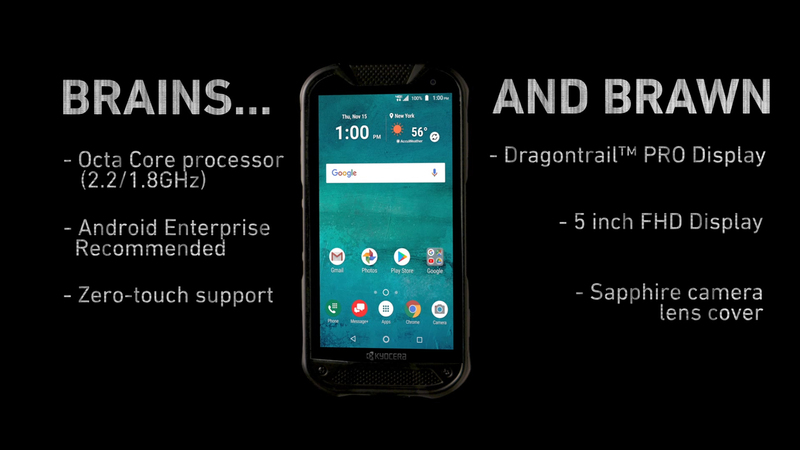 Designed for public safety and enterprise use, especially first responders and construction, DuraForce PRO 2 is dependable and durable in even the harshest environments. DuraForce PRO 2 is also FirstNet Ready™, so it’s been tested and certified to operate on FirstNet – the nationwide public safety broadband communications platform.